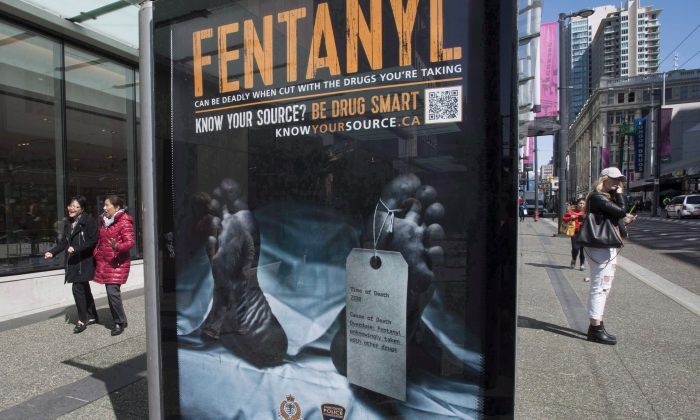 A heavy human cost from Canada’s inability to contain money laundering is the fentanyl opioid crisis, which resulted in 2,400 deaths in the first nine months of 2018 alone, based on data released April 10 by the Public Health Agency of Canada. The battleground is in British Columbia—a haven for money laundering, especially from China—where police forces are ill equipped to shut down wealthy, sophisticated criminals. 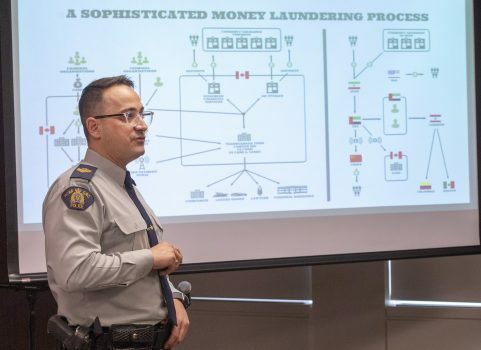 Much recent media coverage suggests Canada’s problem in dealing with money laundering is less about a lack of laws or regulations; instead, it has more to do with a shortage of experienced crime-fighting resources, B.C. politicians not acting decisively, and the challenges in prosecuting the crime. Other issues of a more philosophical or ideological nature are balancing privacy protection in a democratic society, the regulatory burden on companies, and impacts on the pricing of financial services, all while taking steps to curb abuses of anonymity. Making matters worse, according to U.S. officials and media reports, is China’s lack of cooperation with international law enforcement. China is the primary source of illicit fentanyl in North America. “In the context of the fentanyl crisis and related problems, China appears not to be motivated to assist the United States, Canada, and the Western world in any material respect,” said David Harris, a veteran lawyer involved in criminal and national security issues, in an interview. Given some of China’s precedents like intellectual property theft and unwarranted military expansion, Beijing’s “charm offensive” aimed at convincing the United States and Canada that it is prepared to take a constructive approach to stem the fentanyl crisis is “unhelpful in the extreme,” says Harris. But Canada has its own basic issues in enforcing its laws and, as such, is being criticized by the United States. “There are currently no federal [RCMP] resources in B.C. dedicated to criminal money-laundering investigations. This is particularly alarming when one considers that the issue of money laundering has been front-page news in B.C. for almost two years,” according to Peter German, a former RCMP deputy commissioner, in a partial release of his money-laundering report on April 8. B.C. attorney general David Eby said the report was a startling and troubling piece of information. The federal budget earmarked $68.9 million over five years for the RCMP to fight money laundering, but RCMP Cpl. Caroline Duval told The Epoch Times that, as of April 10, it had no information to share on how these funds would be allocated specifically. Eby requested that the feds immediately send the funds to B.C. Just prior to the marked deterioration of relations between Canada and China following the arrest in Vancouver of Huawei executive Meng Wanzhou last December, Global News reported that Canadian police were getting frustrated with the lack of cooperation from Chinese authorities on the fentanyl crisis. A policing expert previously told Global News that criminal gangs in China are able to thrive because the communist regime, military, and police forces have looked the other way. An unknown proportion of Chinese-made fentanyl is produced in state-regulated factories. Harris says, given that China is a totalitarian police state, it is prepared to spy on everyone and everything, “making it improbable that the Chinese security authorities and their masters would not be fully aware of what is transpiring on the fentanyl front.” He adds that the communist regime is essentially condoning the catastrophe in North America. But official channels give the impression that progress is being made between Canada and China. “RCMP works closely with Chinese authorities to investigate and disrupt the illegal export of fentanyl to Canada,” said Duval, adding that they continue to exchange information and investigate leads. Further doubt can be tacked on Canada’s ability to stem the flow of fentanyl from China when considering the U.S.’s frustration. U.S. officials are reacting with skepticism to China’s latest attempt to reassure the world it is doing its part to crack down on fentanyl. According to an announcement by Chinese authorities on April 1, all fentanyl-related substances will be included on China’s list of controlled substances as of May 1. The U.S. Centers for Disease Control and Prevention reported that fentanyl killed more than 71,500 Americans in 2017. Smith’s stance is vindicated by China’s Narcotic Control Commission deputy director Liu Yuejin’s denial of culpability for the U.S. fentanyl crisis. Liu put the onus on the United States to provide evidence for its accusations and to improve its own enforcement. Smith previously told The Epoch Times of the sinister nature behind the Chinese communist regime’s use of fentanyl, describing it as “a weapon in an asymmetric warfare campaign” and being part of long-term strategic objectives. The U.S. Department of State also reports of “significant shortcomings” in China’s implementation of anti-money laundering (AML) laws, especially in the context of international cooperation. “U.S. agencies consistently seek to expand cooperation with Chinese counterparts on AML matters; however, they note China has not cooperated sufficiently on financial investigations and does not provide adequate responses to requests for information,” according to the report. Ill-begotten money has to enter the banking system to appear clean. Media reports note that over $2 billion in sales of fentanyl has been laundered through B.C. casinos or real estate from 2013 to 2017. In the case of real estate, with a loan from a Chinese underground bank and proceeds from fentanyl sales, a drug dealer can make payments on a mortgage from a Canadian bank. Then once the property is sold, all the money is in the Canadian banking system washed clean. The real estate lawyer for the home purchase doesn’t need to reveal the identity of the buyer. Money laundering is difficult to prosecute for a number of reasons, none the least of which is the international nature of the crime. Dealing with shell companies and underground banks in opaque countries like China is difficult, time-consuming, and requires special training. Varying opinions exist on how Canada should deal with the problem. Denis Meunier from the C.D. Howe Institute suggests creating a central corporate registry that contains the true ownership of corporations. The registry should be a one-stop, public search tool. However, Fergus Hodgson of the Frontier Centre for Public Policy disagrees, arguing that more laws and regulations are not the answer and that people may have legitimate reasons for concealing their identities. “Unless you want a surveillance state, there is little one can do,” Hodgson said about situations like property owners who can hide their identities by arranging for family members to hold titles, holding companies where the sole director is an intermediary like a lawyer, and offshore companies and trusts in tax havens that do not share information about company ownership. Hodgson urges B.C. to get its house in order: The answer is not more laws and regulations, which result in delays and higher prices for services. “There is room for improvement before we make law-abiding citizens’ lives more difficult. The province can also utilize the great deal of information already at its disposal but which has been sitting idle,” he wrote in an op-ed. Harris says a public registry of owners could be useful, assuming other lawful means of ensuring appropriate disclosure have already been exhausted. B.C.’s provincial government under Christie Clark has been roundly criticized for its anemic attempts at cracking down on money laundering. It’s almost a conflict of interest of sorts, as government coffers benefit from the province attracting money—dirty as some of it may be. “The propensity of money on the scale of which we’re dealing, especially in British Columbia … can quickly translate itself into political and community power and influence,” Harris said. A confluence of factors has made the toll from the fentanyl crisis in Canada and the United States reach catastrophic proportions. Questionable cooperation from China and a lack of coordination and resources make the outlook appear bleak in Canada for the time being. After using “hostage diplomacy,” China is now increasing the pressure on Canada via commercial means.